There has been much digital ink spilled on these pages about the value of MBA networks, post-graduation. However, one of the most crucial aspects of the business school experience has to do with peer networks that emerge during MBA programs. Peer mentorship relationships between first- and second-year students can make the first year of business school slightly less of a shock to the system for new MBA candidates. They can also help first-years lay the groundwork to get the most out of their business school experience. 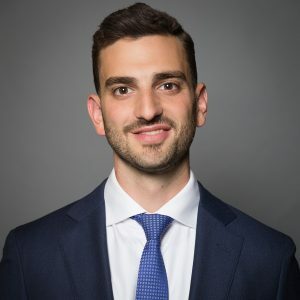 Second-year MBA student and Park Leadership Fellow Bryan Tannenbaum, who prior to business school served as Citi Community Capital’s Assistant VP, took to the Cornell / Johnson blog to discuss his experiences as both a mentor and mentee. The following piece has been republished in its entirety from its original source, the Cornell Johnson Business Feed. One of the amazing components to the Johnson MBA experience is the student-led mentor relationships that form among first- and second-year students. When I first came to school, I knew the career path I wanted to pursue, but was (naturally) anxious about how I would accomplish my recruiting goals while building my professional network. I expected much of the internship recruiting experience to be an independent, self-guided journey. Thankfully, I was wrong. Embedded in the Johnson culture is an unrelenting desire to help your peers land the job of their dreams. This not only helps students excel in the near-term, but also builds relationships among classmates with common interests. As a first-year student, you are greeted by a second-year student-body with diverse internship experiences from all over the world. It doesn’t matter which career vertical you choose to pursue: there will be peers ready to work with you to accomplish your goals. At Johnson, every first-year student is assigned to a student-led Career Work Group to help guide them through the critical recruiting obstacles. Our professional clubs facilitate relationship building opportunities among first and second year students to serve as additional support in your career search. Not every b-school program receives this level of commitment from its students, which is something Johnson students certainly don’t take for granted. I’m not going to sugar coat it: recruiting is hard. There were times when I felt helpless, defeated, and unqualified for the jobs I was pursuing. Towards the end of my cycle, I was faced with some difficult decisions that I struggled to make on my own. Fortunately, I had a tremendous support system to help me through my lows. It was a Friday afternoon in the peak of my first-year recruiting cycle that I received a call from one of my second-year peers who had heard some rumors about the choices I was facing. He was calling to offer his support, but also to invite me over for dinner to take my mind away from the madness. In true MBA fashion, we had a couple of beers and I looked at the clock and it was 2 a.m. Not a second of our night was spent talking about school, jobs, or anything related to our busy b-school schedules. Instead, we shared stories and connected about things that are far more important in life. I’ll always remember that “dinner” and everything it represents about Johnson and our community. There are so many incredible people in the Johnson program and finding ways to connect with them outside of the scope of school is what has defined my two-year MBA experience. When your mentors become your friends, everyone wins. 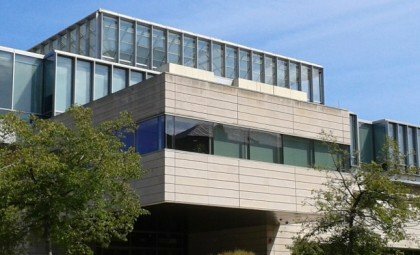 I spent my summer as an associate intern in investment banking. I found Johnson students to be among the most prepared MBA students of the bunch, for a number of reasons. Much of our success can certainly be attributed to the curriculum our faculty arranges to set us up for success (Immersion Learning at Johnson). However, additional credit belongs to the second-year students that take pride in guiding first-years through their internship search. Now that I’ve spent time mentoring the next class of investment bankers at Johnson, I not only appreciate all of the time and effort that my classmates devoted to improving my candidacy last year, but also am motivated to help usher in the next set of aspiring bankers at every step in their journey. It’s crazy to think that just a few short months ago, I was an intern working towards the goal of securing a full-time offer and returning for my second year at Johnson. Now, as a mentor to the students that will be in that very position in no time, I’m striving to be a resource they can depend on for advice and guidance, but also a friend they can trust beyond the scope of professional instruction. I often think back to that Friday night call I received last year and how that shaped the rest of my MBA experience. It’s tough to replicate memorable and impactful experiences like that, but I’ve made the constant effort to do so. Without a doubt, the most important thing I’ve learned as an MBA student is that when you get to know people in an informal setting, that’s when you truly form relationships and bonds that can last a lifetime.